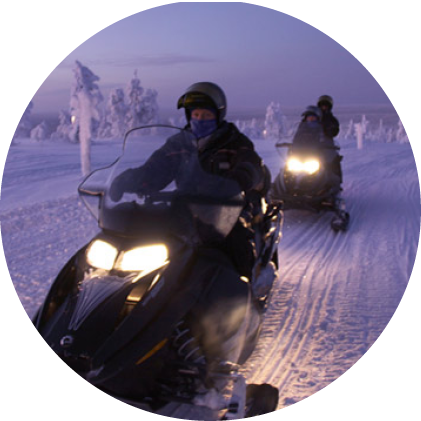 Experience magical Lapland in the adventure destination of Levi! Levi is the most popular ski resort in Finland and for a good reason! It locates in the middle of pure nature and large expanses of wilderness. It boasts with excellent slopes, wonderful winter activity possibilities, high-class cottage accommodation and wild parties! 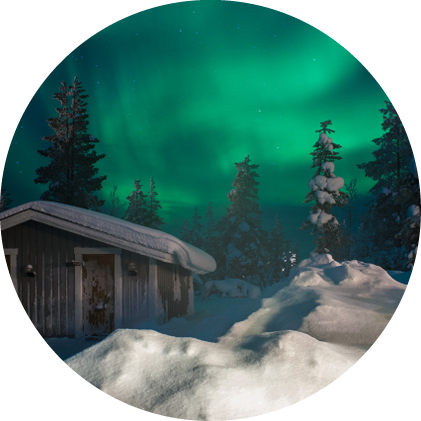 Thanks to the Northern location, you can often spot Northern lights in the night skies! PLEASE NOTE! THIS ITINERARY IS PRELIMINARY, FINAL ITINERARY WILL BE SENT TO THE PARTICIPANTS 2-3 DAYS BEFORE THE DEPARTURE BY EMAIL! 14:45 Visiting the Santa Claus Village in Rovaniemi. 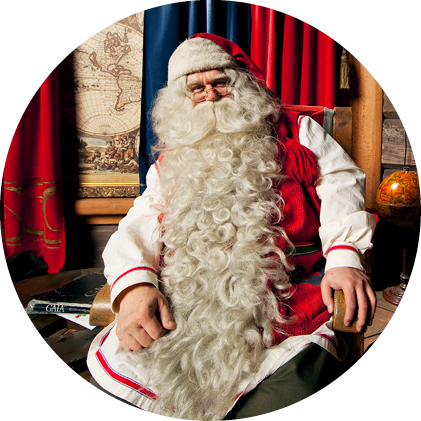 In Santa Claus village you can take pictures with the SANTA, cross the magical Arctic circle, have lunch in one of the restaurants, buy souvenirs, send postcards from the Santa’s official post office and have a lunch (we recommend SHELL gas station across the street). Duration 2 h. Departure to Saariselkä at 16.45. 19:00 Arrival in Levi. After arrival, short tour by bus and then lodging and free time. 11:00 Check-out. By this time all the apartments must be cleaned. We do not recommend to book connecting train, bus, ferry or flight tickets from Helsinki earlier than 13.00 since weather and road conditions may delay arrival. You will be right in the heart of Levi. All the services are only a few steps away from the accommodation (grocery stores, pistes, ski trails, Alko, restaurants, clubs, etc.). Well-equipped kitchens in all apartments. Panel TV, stereo/DVD-player, drying cabinet, sauna and shower(s) in every apartment. Strictly no smoking inside the apartments! Please note that some of the apartments have double beds so some of you will have to share. * Final cleaning must be completed by 11 a.m. at the latest on check-out day. Check-out time 11 a.m.
A: In order to get the trip price as low as possible, we stay in cottages with self-catering. Lunches or breakfasts are not inclusive. There are good kitchen facilities in every cabin and groceries are not more expensive than in Southern Finland. Cooking at the cottages; There are basic kitchen facilities in the living room of the cottages and dorms. Kitchens are equipped with plates, glasses, mugs, knives, stove, and fridge. The meals are not included, but we stop for buying groceries in Rovaniemi City Market. You can for instance decide with your cabin group what you are going to cook together and share the groceries and costs. There is no oven in the cottages though, so don’t buy any groceries such as frozen pizzas, chickens etc. Grocery shopping; We recommend doing all the shopping on the way to Lapland. Your groceries will not freeze in the bus’ trunk, unless we will get a -35 C temperature. In Kemi or Rovaniemi groceries can be way cheaper than in the Southern Finland. In Inari there is also a SIWA and K-market but no ALKO. If you would like to purchase beverages, please do it in Rovaniemi. You can save a lot of money, if you decide together with your roommates what would you like to cook together. Q: We are a group of 8 people, can we stay in the same apartment / cottage? Should we book the trip together? A: All rooming wishes will be taken into consideration. If you know your roommates when signing up, just indicate their names in the message field but please notice – they will have to book and pay for the same accommodation category to make this possible! If you want to book 8 places at once, you should pay everything in one invoice. If it is not convenient for you, please do separate bookings. We will send an email with a cabin sign-up document to everyone who has signed up for the trip about a week prior to the departure. There you can choose in which cabin you would like to stay in and with whom you would like to share it with. If you don’t receive this email, please check your spam folder, ask your friends to share it with you or contact our Customer Service Team. Q: Is there Wi-Fi available in apartments / cottages? Anything else you may need during the trip, money, medicine etc. A small pillow or a special neck cushion for the bus trip. your feet cold out there! 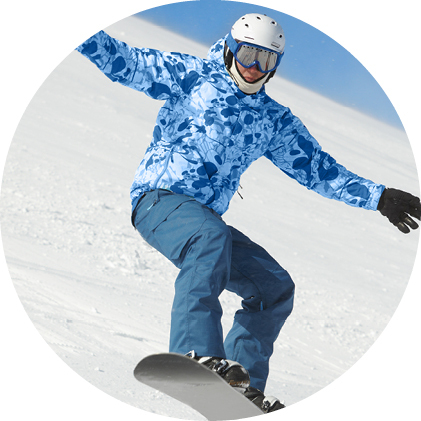 If you wish you can take your snowboard or skis with you! and towels as well! Bed linen and towels can also be rented at the Reception at the cost of 15€/set/person/stay. A: The reason why we use North Lapland as our main destinations is the fact that with high possibility there is plenty of snow starting from the beginning of November. However, we cannot take responsibility for the weather conditions. If the snow depth will not allow performing some activity, we will offer a substitute or possibility to have full refund for it. A: Spring semester is of course more enjoyable because there is more snow and more sunlight. Due to its popularity, the spring semester is slightly more expensive. If you can choose, we recommend traveling in February, March or early April. During fall semester there is a small risk of having less snow. Besides, the short period of daylight brings some restrictions to the schedule, for instance early waking in the morning. 4. 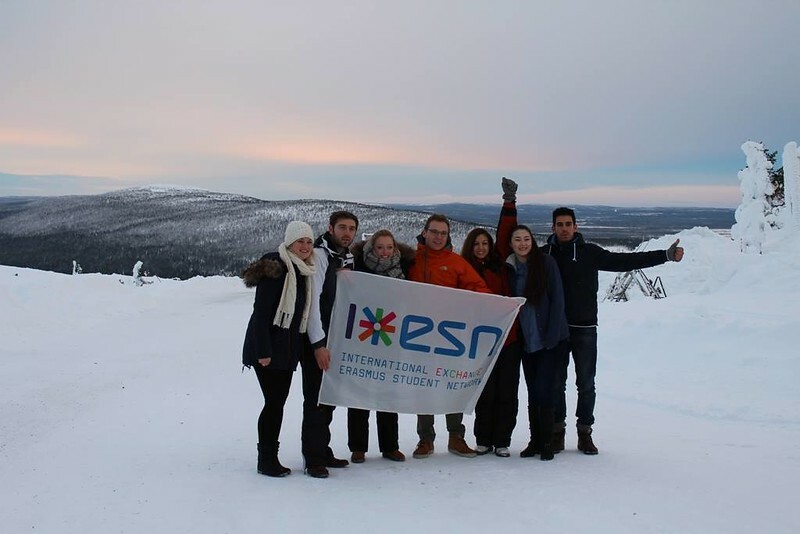 Best place to do shopping is in Rovaniemi or Kemi (on outward journey) - There will be City Market and Alko. In Levi you can find S-market and K-market. Grocery stores are open everyday till 9 pm. Levi is one of the most snow secure of Finnish ski resorts thanks to its Northern location on high terrain. Quite often the first snow falls already in October. Snow conditions and global climate change are unfortunately beyond our power, and that is why we cannot give 100 % snow guarantee. Complete lack of snow is highly unlikely to happen, (has not happened yet) but in case of poor snow depth, some activities may not be able to be performed. 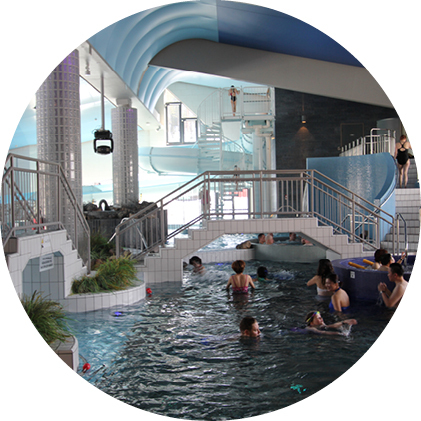 In this case those activities will be refunded in full or you will have possibility to book a replacing activity. 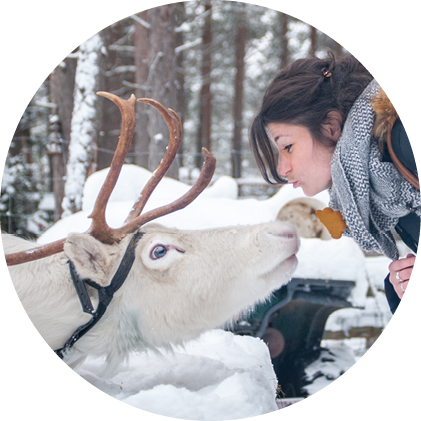 Whatever the snow situation will be, Lapland is always worth travelling! Timetravels reserve right to changes in the program and prices. Itinerary is a preliminary one and final itinerary is sent to passengers a few days prior to the departure, as some activities are subject to weather conditions.